​Hidden Village is a gem nestled on a tree covered mountainside in Big Sky, Montana. 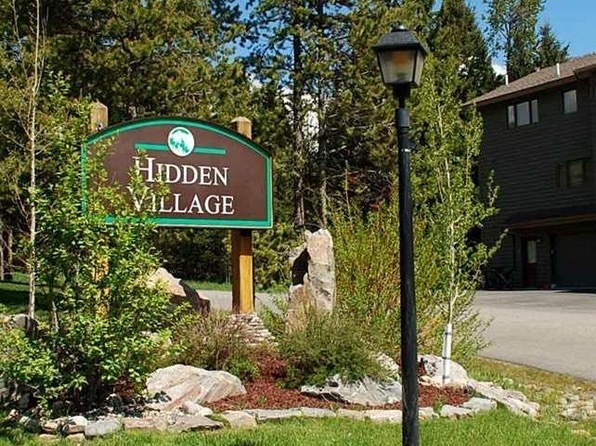 Located one mile above the golf course and six miles from the lifts, Hidden Village is a peaceful getaway for homeowners and visitors in Big Sky. The complex of 141 condos offers a beautiful outdoor pool in the summer, as well as an outdoor spa and a sauna. The condos are spacious and have private garages, beautiful views, fully equipped kitchens, clothes washers and driers and TV. Many of the units have a private hot tub.